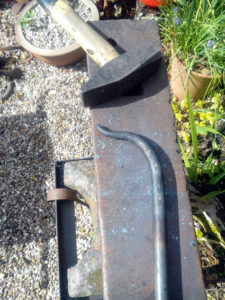 Following on from the Nunti Bo I made a few months ago, I was asked to make 2 handheld Nunti. I think they are also sometimes referred to as Sai. 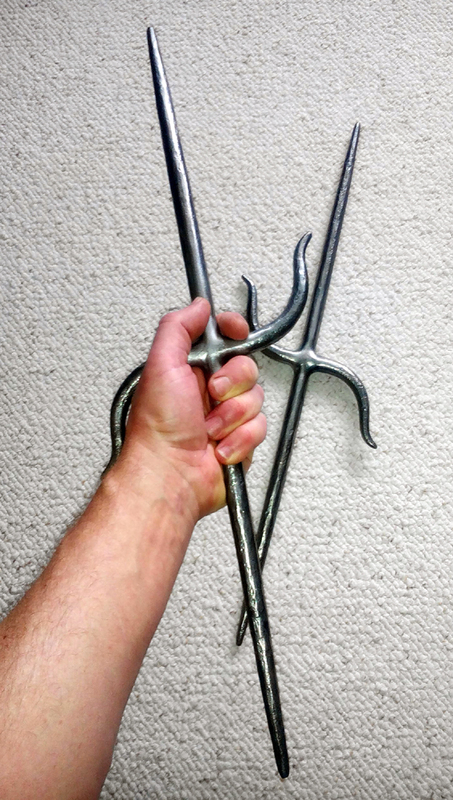 These are used in the Japanese martial art discipline from Okinawa. I really enjoyed making these. I worked with Garry to work put the size and weight to give them a good balance. 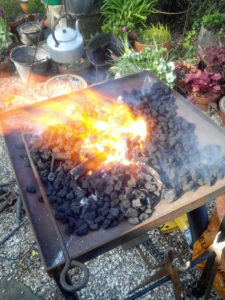 They have a lovely feel and weight and I am very pleased with how they have come out. You can see the stages of manufacture below. They are finished with simple beeswax polish from our own bees. 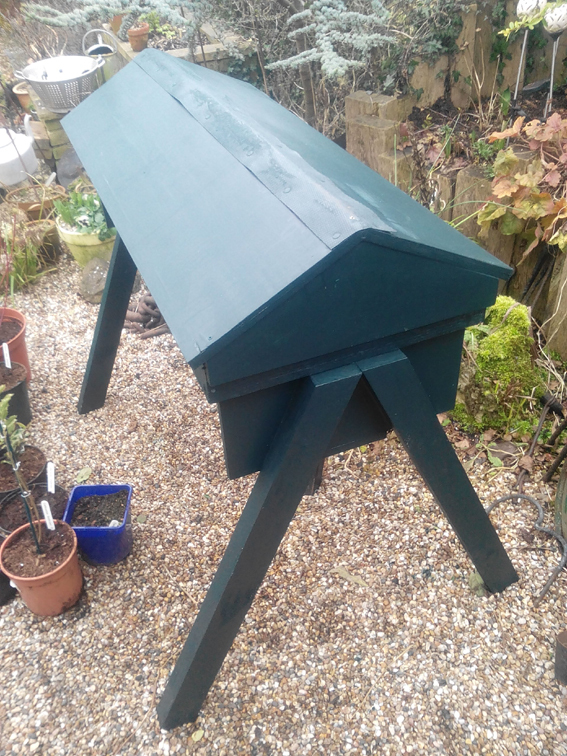 Perhaps one of the oldest methods of keeping bees is top bar Long Hive Beekeeping. 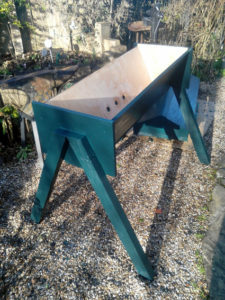 Popular in Africa, largely due to the low cost of hive manufacture, it is now becoming popular in Europe as a bee and environmentally friendly method of beekeeping. A few weeks ago Mrs Bee found some online plans and so I set to work. 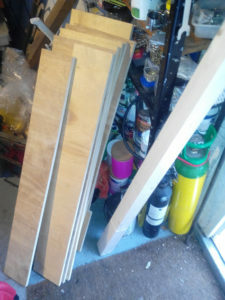 A trip to B&Q later and I had a sheet of plywood ready to make into a hive. Leaping forward, this is how it finished up. This shows the inside of the hive. 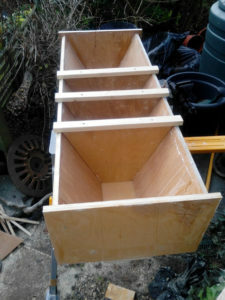 The frames are very different to those in a conventional hive, in that they are simple top bars. 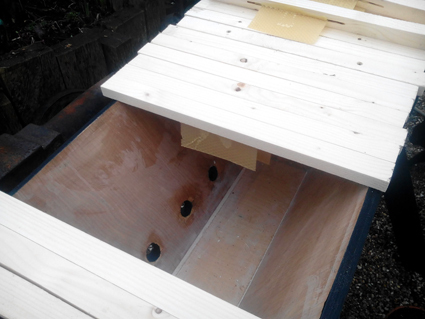 A small piece of wax sheet is added to give the bees a subtle hint as to where we would like them to build comb. And that’s about it. All I need now are some bees, oh and some warm weather..
It’s that time again. Time to mark the second anniversary of leaving e2v. I marked the anniversary of my last day last year. This time I have slipped by a few days. it doesn’t seem quite so important this year. Much has happened since I left. e2v has recently been sold to an American company and is now Teledyne e2v. Whilst there have been immediate cuts in management (the CEO and my old boss have left), Teledyne has a history of investment in aquisitions. So I have hopes that e2v will go forward and thrive, with new backing and access to US markets. 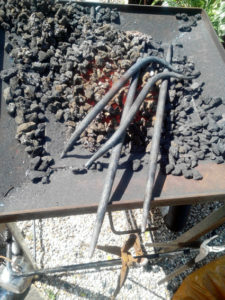 From my perspective, I am doing more talks, with new social history talks added, and am enjoying expanding my blacksmithing and beekeeping activities. This year I marked the anniversary by visiting Harwich. Mrs Bee was on a painting day, so I acted as driver and took the opportunity to visit some old haunts (literally). Mot of the interesting museums around Harwich were closed, but what I really wanted to do was go and see the pier at Walton on the Naze. To be honest their web site sort of lines you up for the place, a little tired in places, but honest and clearly providing loads of fun for the visitors I saw. In my formative years I attended Moulsham Church Sunday School. My memories are not of excessive religious teachings, but of fun and games. So that’s a big tick in the box for them. 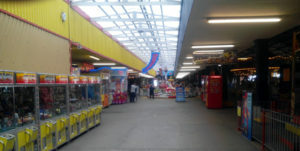 One of my overriding memories is of the annual summer trip to Walton on the Naze, which included a visit to the pier and jelly and ice cream on the way home. 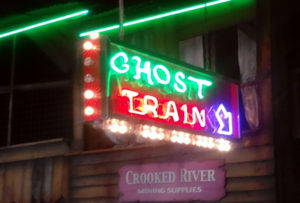 The highlight for me was the ghost train, especially the bits where the train crashed through doors, swung out into the open air and then back through more doors into the dark, all at about 50 foot in the air and 50 miles an hour. I wandered down the pier with some trepidation. Never go back they say, it will only ever lead to disappointment. Memories came back as I walked down the centre of the pier. It really hadn’t changed much. The first areas to the left and right were full of slot and games machines, much updated from the one armed bandits of 40 years ago. Then, there it was, the ghost train. I couldn’t believe it was still there. It has changed of course. The bits where you swung out into the open were boxed in as windows, probably Health and Safety said that it was too dangerous. 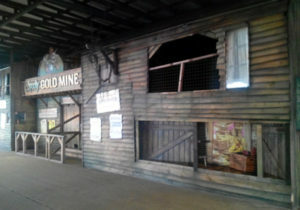 But the doors were still there, enclosed, it was still basically the same ride. But. horror of horrors. It was 11:30 and it was closed. with my parking ticket running out at 12:20 (never had that problem as a 10 year old), it opened at 12, just enough time I calculated. I checked that I was allowed to ride and, after a visual assessment of my weight, I was given the nod. 3 tickets, or £1:80 later, I was on board. It was great, not as fast as I remember and the boxed in bits that swung out in the open had been lowered from 50 foot up to a modest 6 foot (or just possibly they had always been only 6 foot up, but I don’t think so). But it was great. It was the ghost train of 40 years ago. I did video the ride, but am having trouble loading it. You can see a better attempt here. I was 10 for about 3 minutes, then I had to get back to the car park before I got a ticket.